SAN DIEGO, Feb. 27, 2018 /PRNewswire/ — Nintex, the world’s leader in intelligent process automation (IPA), recognized customers with 2018 Nintex Solution Innovation Awards during its annual conference, Nintex xchange. Winning organizations include Allegis Group, IXOM, MAN Diesel & Turbo, Ministry of Public Health Denmark, and M+W Group, all of which are using Nintex technology to digitally transform their workplaces. The Nintex Solution Innovation Awards were designed to recognize organizations who have demonstrated excellence in workflow and content automation by using capabilities within the Nintex Workflow Platform. Today thousands of enterprises worldwide across industries such as financial services, health and life sciences, advanced manufacturing, government and others, turn to the Nintex platform to automate, orchestrate, and optimize a whole host of sophisticated business processes. Proposal Management – Using Nintex Document Generation, Nintex Forms, and Nintex Workflow to manage the process for receiving requests for proposals, information, and quotes, and generating and delivering the requested item. 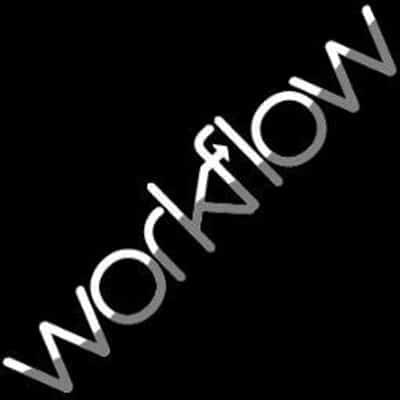 Document Management – Using Nintex Workflow Cloud with Nintex Xtensions™ to manage the file, sync and share of more than 15,000 pieces of technical documentation. Health, Safety and Equipment (HSE) action tracking– Using Nintex Workflow and Nintex Forms to manage, route and track various critical actions to ensure they are completed on time. IT Purchase Request – Using Nintex Workflow and Nintex Forms to manage and track the purchase of IT goods and services. Supply Chain Management – Using Nintex Workflow and Nintex Forms with Microsoft SharePoint to automate complex contract approval processes. Incident Reporting and Analysis – Using Nintex App Studio with Nintex Workflow and Nintex Forms to process safety and incident reporting which was previously managed with paper. Field Service Inspections – Using Nintex App Studio with Nintex Workflow and Nintex Forms to replace paper forms used for construction site inspections. All of the 2018 Solution Innovation Award winners are putting the Nintex platform to use to connect the right people with the right content at the right time. Yesterday, Nintex announced new machine intelligence capabilities and is delighted to showcase how its customers and partners are taking process automation to a whole new level. To learn how other enterprises are using Nintex to digitally transform their workplace see more use cases on www.Nintex.com.